Columbia, Md. — With the release of Vectorworks 2019 Service Pack 3 (SP3), global design and BIM software solutions provider Vectorworks, Inc. introduced three features that it said greatly improve presentation and visualization capabilities, along with overall workflow between products. Many designers create artistic and photo-realistic renderings of their designs using Vectorworks’ integrated rendering feature, Renderworks, while some designers also use the popular real-time rendering application, Lumion. To prioritize these varying needs, designers will enjoy a new live-sync rendering connection that allows designers to perform real-time rendering while making design changes in Vectorworks software. 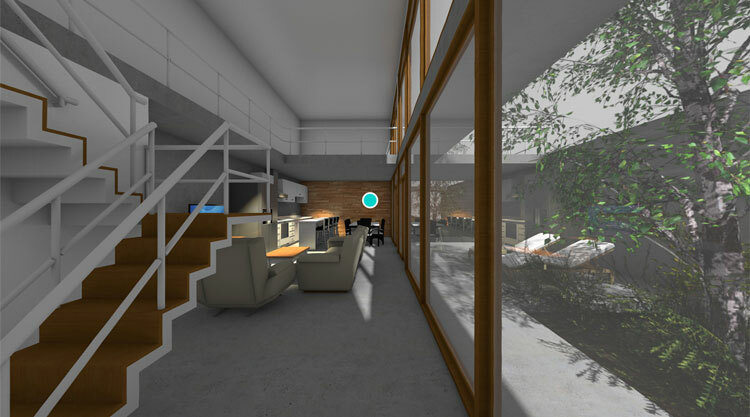 Lumion and the LiveSync plug-in are available on the PC, and the plug-in is available immediately for English language users on the Lumion website. Additional language options will be offered soon. Learn more about how LiveSync works in a video (https://youtu.be/wb5UzdHngYo), and sign up for a webinar with Michael Brightman on April 11 at 2 p.m. ET (http://www3.vectorworks.net/real-time-rendering-with-lumion-livesync-vectorworks-1?utm_campaign=pr&utm_content=sp3032019&utm_medium=massdistribution&utm_source=intext). With SP3, a new Vectorworks Cloud presentation feature allows designers with an active Vectorworks Service Select membership to use Vectorworks Cloud Services to generate presentations of designs with an intuitive drag-and-drop interface. Presentations include interactive 360 rendered panoramas that can be linked together to create a holistic, immersive experience. This unique presentation capability helps communicate and connect your design ideas with your clients’ expectations. Providing better communication among designers and clients, the feature allows the creation of a high-quality experience of a project’s design and a shareable web link. This video (https://youtu.be/f6AeSvNl3yE) showcases the Vectorworks Cloud presentation feature. Lastly, a year ago Vectorworks — along with MA Lighting and Robe lighting — announced the creation of a new open file format called the General Device Type Format (GDTF), which has continued its development to support the needs of the entertainment design and production workflow. In line with that effort, the founding companies of GDTF have also created a file format called My Virtual Rig (MVR). The MVR file format creates a two-way connection between planning, previz and console systems that implement the support needed for a seamless workflow. The MVR format contains the 3D model, texturing, position information and GDTF information from the design in Vectorworks Spotlight. With SP3, Vectorworks has implemented import and export of MVR in Vectorworks Spotlight 2019 and import of MVR into Vision 2019, the previz software from Vectorworks. Now, entertainment designers are able to create a more efficient and connected workflow between design planning and previz, merging the iterative changes of the model between Spotlight and Vision without re-importing and redefining the performance cues each time. Watch the video (https://youtu.be/Mc_Xdb6Pv54) to see the GDTF updates in action. This Service Pack is available as a downloadable updater for all U.S. English-based versions of Vectorworks 2019. To install, click here (https://www.vectorworks.net/support/downloads/product-updates?utm_campaign=pr&utm_content=sp3031919&utm_medium=massdistribution&utm_source=intext) or select “Check for Updates” from the Vectorworks menu (Mac) or Help menu (Windows). To find out more about this release, read the tech bulletin at https://forum.vectorworks.net/index.php?/articles.html/articles/tech-bulletins/vectorworks-2019-sp3-is-now-available-for-download-r790. Contact tech@vectorworks.net with any technical questions.